KWHCoin is developing the physical and virtual assets to deploy the internet of energy as a rail to power billions without reliable energy access. KWHCoin is expanding its global renewable energy network into West Africa signing an MOU with Teleficient to develop energy services in Sierra Leone. With 80% of its population off grid, Sierra Leone has unique energy challenges with a sparse rural population and lacking a centralized grid to deliver reliable energy services. Teleficient has distributed over 6000 Azuri “pay as you go” energy systems in Sierra Leone with plans to install over 50,000 systems. Teleficient Communication, LLC is a Voxox For Operators TM partner that operates a next generation telecommunications network and offers the Voxox service under the brand name AwiKonekt App (IOS and Android) worldwide. With the latest mobile devices store-front in Sierra Leone (www.sl.teleficient.com), Teleficient also offer home, business and international VoIP telephony and rich communication services (RCS) to anyone, anywhere in the world. 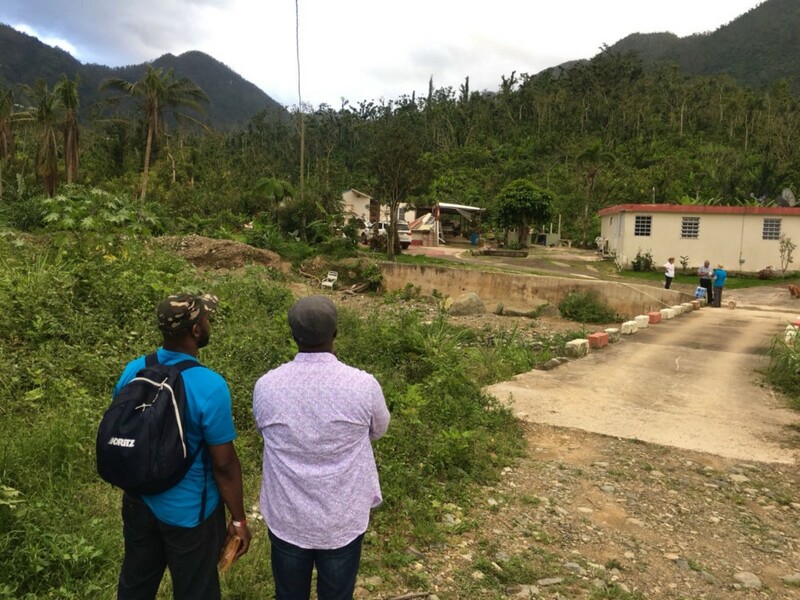 KWHCoin team in Puerto Rico doing site inspections for deployment of remote energy access services. “KWHCoin is very excited to expand into Sierra Leone and to begin this dynamic partnership with Teleficient. 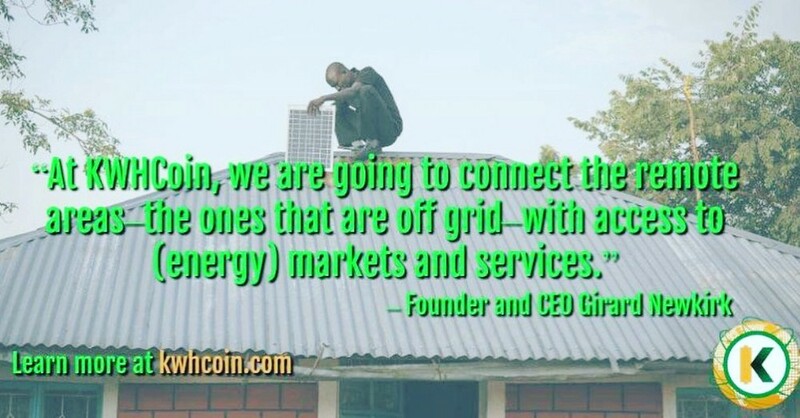 Although off grid, Sierra Leone is networked and our energy services platform integrated with Teleficient’s solar home systems provide a perfect complement to develop a renewable energy network and blockchain ecosystem to manage and distribute,” says KWHCoin CEO Girard Newkirk. KWHCoin solution to connect billions to renewable energy will be on full display May 11, 2018 in San Francisco at the Startup World Cup Finals. “The KWHCoin can now digitize the “pay as you go” payment methods now employed through the platform. Our blockchain will store the energy data from the solar home systems and the homes connected on our network in Sierra Leone. We will then deploy our KWHCoin token as a medium for payment of services as well as to enable peer to peer trading capabilities and the sharing of energy resources. This is what we do at KWHCoin. We open access for the underserved and develop digital solutions to provide social impact and promote a renewable energy future,” says CEO Newkirk. The partnership with Teleficient allows KWHCoin a data network of over 6000 homes that already have solar systems and will become nodes on the KWHCoin blockchain. 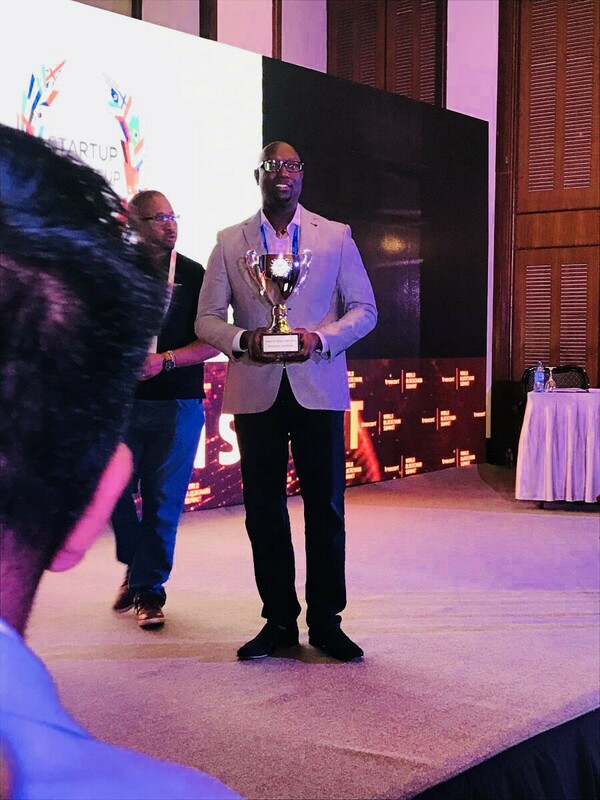 Over 50,000 units are to be distributed that will form the foundation for KWHCoin to launch its genesis West African project. “We have our major energy project in Kenya with Nurses in Hand that provides a great strategic location to deploy our energy services model and now our Sierra Leone project will begin our efforts in West Africa to expand our digital footprint on the continent of Africa. This is our largest and primary services market so its very exciting to have 2 large projects on the continent,” states Newkirk. KWHCoin CEO Girard Newkirk is a featured speaker at the Midwest Solar Expo in an exploration of blockchain applications in the energy sector. There he will go more in depth on the KWHCoin strategy and growth model to deploy the internet of energy and connect billions to renewable energy access.